Samsung has acknowledged the issue and is offering repairs and replacements for the affected Galaxy Note 8 devices which are still under warranty. Some Samsung Galaxy Note 8 users have complained that their device is not turning on after being fully discharged. As per several user complaints on Samsung’s Community forums, the issue is causing many Galaxy Note 8 smartphones to remain turned off and unresponsive. The problem, as stated by some device owners, started when the smartphone’s battery was fully drained and dropped to 0 percent. Samsung has taken note of the issue and is providing repair or replacements for the devices which are still under warranty. 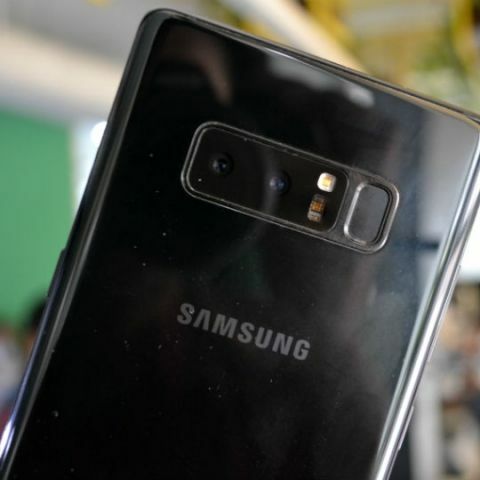 A moderator on the company’s community support forum said, “This particular problem with the Note 8 not turning on is definitely something that we want to get addressed immediately.” Some of the users on the forum reported that they were able to revive their Note 8 smartphones using wireless chargers, however, the solution didn’t work for many others and they had to get their units replaced from Samsung’s service centers. Also, many of the reported Galaxy Note 8 smartphone become completely unresponsive. Even after connecting to the original charger, the device’s LED notification light is reportedly unresponsive. Some users tried to wake up their devices by performing factory/hard reset and booting into the Recovery menu by holding down different button combinations but weren't successful. Although the new issue is causing inconvenience for some users, it’s not comparable to the last year’s Galaxy Note 7 fiasco. Some of the Galaxy Note 7 smartphones caught fire and inadvertently exploded. The smartphone was even banned from being carried on flights worldwide and was ultimately recalled. After conducting investigations, the company had said that there was an issue with the smartphone’s battery cell. It is not known yet whether the new issue with the Galaxy Note 8 is a software or hardware bug.